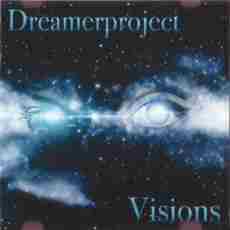 Against all odds, the album Visions from Dreamerproject has knew a very good success, in particular because of the track "Horizons" and of its evasive melody which still shines more here in the remixed version of Glenn Main. And it's with all the honors that the AD Music label gave to 4 artists to the visions fiendishly opposed a mandate to compose their remixed version for the purpose of this E.P. which appears in the stride of a vast marketing operation of the English label. The version of TigerForest accentuates even more the very Tangerine Dream approach of the Miramar years whom the German musician Gunnar Spardel presented us in 2014 with his album The Tides of Day and Night. The rhythm is heavier and more lively with violins which fly and swirl under a powerful hyper bludgeoning of percussions. The melody borrows here a veiled texture, roaming like a very harmonious specter on a structure of rhythm as powerful as lively. Gunnar Spardel respects the posology of Kjetil Ingebrigtsen, Glenn Main too, with a brief moment of respite before taking back the bombardment of the percussions. I like! It's more rock electronic than the original version which is very New Age. Glenn Main's version is clearly more musical and more electronic with a pace as curt as that of TigerForest, but lighter. The piano spreads also some beautiful harmonies, as on the original version, and the more rock approach which follows this short moment of atmospheres is fed by this piano, but also by beautiful synth solos as well as a kind of electronic guitar. I would say that it's even more poignant than the original version. More shortened, the versions of Noise Zoo and of Spektralized prohibits the moment of ambiences in order to throw more weight to the music of Dreamerproject. The version of Noise Zoo brushes lightly an approach very trance dance for Zombies drugged up on Ecstasy while that of Spektralized is jerked by percussions as well as very fat and juicy sequences which is going to cure, or aggravate a stiff neck within 2 minutes. But it's ok because the original version is there to rest these muscles which were snatched by Noise Zoo and Spektralized, showing before all the very melodic and dreamy approach of "Horizons" and of Dreamerproject. The introduction of "Horizons" plunges us a little into the universe of the New Age with sounds of flute which caress the waves of an ocean that one sculpts in our imagination. These elements, as well as electronic effects, increase as a keyboard draws an embryonic melody and as the rhythm settles down. The approach becomes rather intense with the arrival of electronic percussions skillfully steady and with nervous riffs which flicker around this melody which will take literally its surge while taking care of leaving its traces at the bottom of our eardrums. The rhythm is curt, a little bit abrupt and the harmonious twigs spin all around. If the 1st part is more ethereal, the 2nd proposes a solid electronic rock with good arrangements which seduce after 2 or 3 listening. It's at the same time light and heavy and it stays in the borders of the New Age and of the Synth-Pop of the 90's. "Sunrise" suggests a delicately jerky rhythm, like a disjointed down-tempo, with a keyboard and with some nice arrangements which extract from us deep sighs of our soul. The melody, torn away from a nevertheless sober synth, waltzes between our two ear with all the intensity of its sigh and its tears which win in emotional intensity. This is the very beautiful electronic ballad, with a zest of Vangelis (yes yes), which seduces me much more than "Horizons". The title-track also offers a slightly jerky structure, but more electronic than melodic, which is weaved by riffs of a nervous keyboard. The arrangements are always so intense with an electronic envelope, the synths moan even more than in "Sunrise", which adopts the velocity of the beat. That passes well, it's not complicated and it's going to please to a wider audience. It's accessible but not inevitably commercial. "Glorious" also presents a rather intense structure which is knotted cloud around emotionalism, a little as in "Horizons". But the approach is more lively with a beautiful electronic structure of which the debit sounds as the pouring of a water of sounds in cosmos. Here as on 4 other titles of this E.P. the music exploits well its 5 minutes between a rhythm, more lively and more jerky here, and a short moment of atmospheres which brings the listener in a very New Age cosmos, so much the emotivity and the musicality are there. At this level, the 2nd part is unarguably the most powerful of “Visions” with a very clanic finale. "Drifting" ends this small harmonious collection of Dreamerproject with a beautiful cosmic slow dance loaded of a multitude of star's sparklings which swirl as in a whirlwind of crystal particles. Little by little the title drifts towards an approach more in the kind of astral ballad with a greater intensity which seeks with a clear intention to extract other sighs from our soul. But "Sunrise" is by far more beautiful! Must we be shy to say that “Visions” is a beautiful small E.P. full of tenderness and melodies which hook the sense of hearing on rhythms which are vaguely alike at times? I let you the care of finding the answer. One likes Yanni? Then you will for sure like the music of Dreamerproject which is so near. Me, and especially my Lise, I found it as beautiful as good. Even if we are more in the territories of the New Age and the Synth-Pop without words (the music can be easily hummed or whistled) than in the fathomless labyrinths of EM of the Berlin School style and of its derived. Beautiful, good and not complicated! If EM of the vintage Berlin School style molded in the warmth of the analog is exercising on you an inexplicable attraction, the music of Cosmic Ground is a must! What! You still don't know Cosmic Ground? Unforgivable! And here is why... But before, attach your ears because they are going to run away! After the dissipation of a veil of chthonian voices, a line of bass sequences makes beat 2 measures which throne on a filet of more discreet sequences and of which the movement becomes that of a train which wants to roll at a brisk pace through the clouds of dark voices which he meets. What strikes immediately the sense of hearing is the sound of the sequences. Even at a brisk pace and in their clothes of one-legged monks, they wind with a so different, a so warm tone, as their jingles get entangle like a thin line of rubber balls which jump up as a starving play of percussions. Fiery, the first 6 minutes of "Ground Control" offer a simply infernal structure of rhythm which leaves no chance to a few steps of dance to follow the fury of hundreds of sequences which jump, roll and tumble down through those many clouds of mists. If the movement gets quieter, it remains all the same rather lively with this meshing of sequences and percussions which sets in fire the 2nd part with sequences which overflow now by the lobes of our ears. Without nuances, set apart for the tones, and frankly, "Ground Control" presents a powerful pouring of sequences which wears out just a bit after having clocking the 12 minutes point, entailing the title towards one finale which refuses to let leave its hyper convulsive structure of rhythm. The dense ambiospherical effects will finally have reason of the crazy rhythm about of "Ground Control" near the 15th minute. This is a very sharp opening of Dirk Jan Müller! And if the very lively and abrupt movement of sequences have seduced you, wait to hear the one in "Crumbling Darkness". But it will not be before a good 6 minutes of an introduction densely ambiospherical where intersidereal gongs crumble their rumblings in a sound paradise tinted of wet voices and afterward in the violence of the winds which sing with their particles of sandy dusts. "Crumbling Darkness" gets away of this cocoon of atmospheres in order to offer a stunning movement of rhythm well sat on the spasmodic jolts of many sequences. Riffs and synth chords, which sound like those of the Green Desert years, wrap this structure of rhythm of which the main attraction is a series of dislocated and out of tune jumps which spring from a skeleton of a big snake which gets back its bones after each spasm. Imagine the image; it's a movement of rhythm without stops which quietly crumbles its last knockings in a thick wall of mists and luciferian voices. The combination of atmospheres and rhythms is perfect for the fans of the genre. You want more? After noises, rumblings and cosmic winds, "Keep us in Space" gets rid of its short passage of ambiences to offer a structure of rhythm as edgy as the one in "Ground Control". If the movement is less fluid, it remains just as much violent with a line of bass sequences which undulates under the oscillatory snips of scissors movement of the main rhythm. Still here the structure of rhythm, as well as the percussions, brings us back to the Green Desert era. It's a furious rhythm which will run wild beneath a flight of sequences and electronic percussions for a big 16 minutes. The analog Modular overheats! After this fiesta of sequences and wild rhythms, "Monochrome Ritual" calms down the moods with a beautiful ambient rhythm, like those which have fed the beautiful analog years, with a Dirk Jan Müller in great shape who abandons a little bit the Modular in order to draw beautiful effects and elements of charms and atmospheres which were in the heart of the golden years of the psychedelic cosmic rock. The fans of Phaedra are going to ask for more of it! And that's why it's essential to discover the universe of Cosmic Ground! 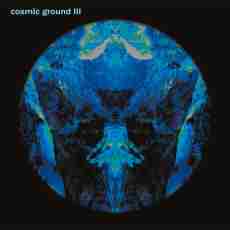 “Cosmic Ground 3” is in the lineage of the 2 first ones, but with a clearly more incisive approach at the level of sequences and, by ricochet, the structures of rhythm. I'm telling you straightaway, a repetitive listening risks to make you deaf, so much the power of the sequences attacks our indefatigable hunger for the analog rhythms of the 70's. Is it too much? Would need to ask your neighbors. I would say not at all, but I like that! The slow introduction of "Crumbling Darkness" moderates a little the violence of the rhythmic acts. And when we reach "Monochrome Ritual", we are like these crazy dogs who need to rest after having hunt 2 trains which rolled in parallel. It's a wonderful album for the fans of sequences and of hard and pure electronic rhythms, although the moments of atmospheres are not anemic. 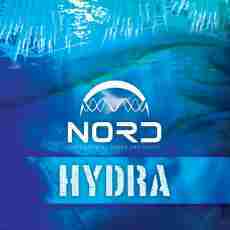 It's with a delicate sound wave which makes the synth lines to float in a kind of astral ballet that is opening the 1st part of “Hydra”, the very first album of Nord to start the year 2016. Built around 2 long music pieces which evolve with slowness, this 16th album of Sztakics István Attila possesses all the attributes which will please the fans of retro Berlin School who desire a passive listening. Because everything of “Hydra” evolves in passive mode. "Hydra Part 1-5" begins with these floating lines where bind electronic noises, as well as languishing solos which bury some fine low pulsations. These pulsations set up the rhythmic perimeters, whereas the noises become more cosmic and the juicy solos more ethereal. Moreover, these synth solos shine all over the first 10 minutes of "Hydra Part 1-5". The title dives into a mini amorphous phase before resuscitating with sequences which wave in fine harmonious thin lines in a cosmic envelope. That sounds like some good old Software. Like those long titles of the vintage years, the two long chapters of “Hydra” evolve between phases of rhythms and intersidereal atmospheres where the electronic and cosmic effects are used as decoration to exchanges more or less intensified. Without finding really an explosive outcome, the rhythmic phases of "Hydra Part 1-5" are more in ambient modes with momentums of sequences which advocate more the flickering phases with beginnings of cosmic rock and of morphic techno which bring constantly the listener on an excitement which will not know any nirvana. Like a coitus interruptus ceaselessly! "Hydra Part 6-10" is also constructed on these waverer phases. The difference lives in the tones. The first 18 minutes are delicious with movements of sequences which make a kind of bridge between those of Tangerine Dream, period Hyperborea, and Mergener/Weisser, period Beam-Scape. The remaining 12 minutes disperse a long horizon of atmospheres with beautiful cosmic arrangements from where arise rests of rhythms buried in this dense wall of sonic contemplativity. Except for the finale, which is a little as that of "Hydra Part 1-5", where pulsations try to wake these atmospheres in an approach of techno for Zombies marinated in ether. And as I wrote it before, “Hydra” is the perfect match to those fans of retro Berlin School who wish a passive listening. Because everything of “Hydra” evolves in apathetic mode. This is good floating EM to discover again. A line of sequences in the very cheerful tones is piercing the small wall of murmurs of unclear voices which wrap the introduction of "Stadtgeflüster". These sequences are crystal clear and so very harmonious. Gamboling of a rather lively circular flow, they scatter shadows filled of organic tones on layers of bass which float with a vampiric approach. Then it's the electronic noises which are added to this din all the same rather lively, bringing this first sonic proposal of Tonbieger towards a strong electronic rock soaked of Geoff Downes' perfumes. Apparently inspired by the post Berlin School era and of an electronic rock disinfected in a New Wave envelope of the 80's, this first album of Tonbieger needs to be tame quite smoothly. 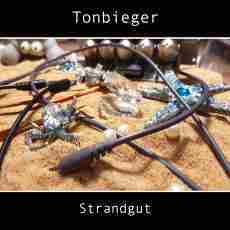 Consisted of 4 long structures which are divided into modifying phases, “Strandgut”, for wrecks, is far from being a jetsam for the German label SynGate which does not stop participating in the blooming of EM with interesting new artists. The last one in the running is Tonbieger, a project of German musician and synthesis Jakob Paulussen, who is also known on the Web under the pen name of jakobsweb, is an enthusiast of the synthesizers who amassed an impressive collection of music and instruments, as analog and digital, during the last 25 years. And the result is an album which fascinates with an impressive sound fauna in perpetual movement. If the first 6 minutes of "Stadtgeflüster" offer a good electronic rock, the movement becomes then more motionless with a line of sequences which makes a series of keys waddle on a carpet of effects and electronic twists. It's like to see a fireworks beneath the ground! The movement of sequences draws another approach of more fluid and more circular rhythm under scattered metallic bangings. This 2nd phase of rather ambient rhythm dissipates with good cosmic effects of analog tones before returning in its initial phase of rhythm, but with more heaviness. Four structures of an average duration of 20 minutes which change of sonic skins between 3 or 4 times, “Strandgut” disconcerts more than it enchants in the first listenings. It's a skillful mixture of ambiences and of rhythms to which we have to listen to with care to notice the small jewels of tones which hide between those phases of rhythms. As in "Gezeitenreiten" where the meshing of the hesitating sequences with fluid bass pulsations and percussions sculpture a good electronic rock as lively as the very simplistic melody. Little by little the rhythm preserves only its line of bass pulsations which oscillate under the caresses of a synth and its melody rather catchy. The 1st ambiospherical phase, which shows around the 6th minute, gives an indication that Tonbieger is also soaked with Jean Michel Jarre's influences, especially with the lively rhythm which moves those ambiences some 60 seconds farther. Our feet burn the ground here. The very harmonious sequences on this rhythm of fire make very New Berlin School while the synth layers with tones of organ are sounding like a mix of Geoff Downes and Jarre. Especially the effects which enrich a finale rather of ambiences. "Gezeitenreiten", like "Stadtgeflüster", proposes beautiful phases of rhythm which would have a better sonic image in shorter envelopes of time. But stuck in ambiosonic and ambiospheric phases give a more progressive reflection to those who like convoluted structures. "Flächenflug" is a long title of vintage Berlin School moods with a wall of sound effects which perturb the meditative approach of the floating synth lines. It's for those who like seeing (to hear) a tapestry of noises. The very ambient and orchestral approach of "Wolkenweit" is some candy for the ears. The line of sequences which gets free of there is making beat a key which waddles in symbiosis with the seraphic caresses of the fake violins. The beating gets lost of its road while the percussions and other noises of percussions shake these cosmic atmospheres a la Software, plunging "Wolkenweit" into a kind of cosmic rock built around nice vintage tones. The synth spits some sonic serpentines which wriggle under shape of these beautiful solos of the psychedelic years while the structure of rhythm defines a little better its approach which takes the shape of a slow cosmic rodeo. The meshing of sequences and percussions is also magic as the atmospheres, allowing at "Wolkenweit" to support its approach which little by little gets erode around the 8 minutes point. A long ambiosonic phase invades then our earphones, showing still the influences of Jarre from his sonic corridor of Magnetic Fields. Always very active in the milieu of an underground style of EM, the Ultimae Records label has organized a mega concert of ambient immersive music on February 13th 2016 at the famous Zeiss Planetarium of Bochum in Germany. AES Dana, Miktek and Martin Nonstatic, who had the honor to open this show, have played their music with images projections on the dome created by none other than Tobias Wiethoff. “Nebulae: Live at the Planetarium” is a recording of this event and stars the music of Martin Nonstatic who presented a quite different version of his album Granite which appeared in the tubs at the very end of 2015. Only title which was not of Granite, "Into the Nebulae - Intro" attracts us in a very ethereal atmosphere where the music, always very split up by shorts episodes and rhythmic and harmonious, derives between our ears with these small strange noises, one would say footstep of mice in a concrete wall, and these bursts of passion that we found in Granite. Except that here, the sound has changed! We feel a reserved dynamism which quietly wakes up in the sounds of scattered notes of a piano and these sound rustles which often come from another universe. And quietly, "Into the Nebulae - Intro" gets attached to the little dance feet of "Bowed Thoughts". 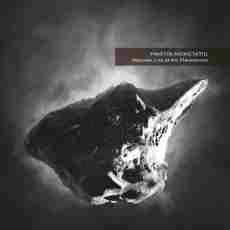 If we remember well the album Granite, "Bowed Thoughts" introduced the album in a ambient way. The approach was lunar, even discreet, with a structure which looked for its power in its carpet of ambiences. But not here! Everything of Granite, set apart very dark Open Minded which is absent here, is reconstituted in a clearly richer sound envelope and with more frequent and more sharp rhythms. As mentions the press kit of “Nebulae: Live at the Planetarium”; we recognize the spirit but the story is something else. And it's true! The moments strictly ambient are rarer and the rhythms take more place and are more lively, while the psychedelico-organic and cosmic envelope which surrounds the works of the Lyons label is as much amplified than the structures of rhythms. The order of the titles is also mixed here, so that we have the impression at times to hear a new album with airs of already heard. If "Granite" has on us the same effect, "Saint Germain" makes us jump with its envelope of atmospheres and its crumbled rhythms which are oversized by a sound envelope which gives more ascendancies to these delicious parasitic noises which make all the mysteries of the Ultimae Records albums. And it's the same thing for the other titles with mentions more than honorable to "Sea Surfaces" and "Out of Silence". The first big surprise comes from "Edelbitter-Reconstructed" which is clearly more hungry for beats here. More oniric on Granite, it's more passionate here with a finale all in rhythms. It's the very opposite with "Kurukshetra - Far East" which is a little more ambient here and nicely decorated with seraphic voices. "Distance B - Distanced" keeps the same cachet in a more stretched envelope of time. The same goes for "Tabula Rasa - Fading Nebulae" which throws a more ambient finale. A richer and a denser sonic cocoon, a presentation of the titles in a different order and wealthier of rhythms; “Nebulae: Live at the Planetarium” is like to follow the evolution of Granite towards another sonic skin. If we are always enthralled by the grace of its movements we are amazed even more in front of the more attractive colors of its new skin. And as usual, the mastering work of Vincent Villuis approaches the genius of the manipulation of sounds. I liked it more than not! My 1st attempt has stopped dead at "Brick England", with The Pet Shop Boys, a thing hyper synth-pop which flooded me the ears of signals such as: I must stop here!!! And then, I had to speak about it. I spoke about Electronica 1-The Time Machine and people wondered why this silence regarding “Electronica 2 - The Heart Of Noise”! I would answer; because it must be so! It's necessary to know how to stand back and let the disappointment gone before writing a thing that would haunt me for years. You want to know what? Well I did well. The introduction of this 2nd volume on the way of seeing things in the world of EM by our Cyrona of synths demonstrates that a thing; Jean Michel Jarre is really hide in Jean Michel Jarre. Cosmic as one pleases, with a progression in the rhythm which is reminiscent of Zoolook, with organic sequences and percussions which click from everywhere, "Part 1" and "Part 2" is definitively what that Jarre did best since Revolutions. The approach is very dance with a synth as harmonious as those beautiful tunes of a synth-pop is a thing which will haunt your ears for weeks to come. And then comes "Brick England"! I shall not speak about it because it's a thing which is not just in my musical tastes and which was never moreover. It's the same thing with Peaches in "What You Want". Hip-Hop, Funk, Rythms and Blues... Name it! It's a very versatil track, but I know that the fans of Jarre's dance and pop era are shouting to the genius here...The same goes for the heavy techno-pop rhythm of "Gisele". Who is Sébastien Tellier? Any idea, but that gives a lively and heavy hyper thing which can remind Kraftwerk which would have had the taste to create. The ambient rhythm as so cosmic as oniric of "These Creatures" made me realize that I had to go farther in this “Electronica 2 - The Heart Of Noise”. The voice of Julia Holter is wonderful and enchants on a finely jerky structure. "As One" is a big techno hyper well structured which reminds me of Chronology 4. I don't know Primal Scream, but it would seem that it's a remix of their title Come Together. "Here for You" with Gary Numan is a beautiful and rather lively synth-pop which sounds very 80's, except for the arrangements of the percussions which are loaded of vitamins. Here and all over this album which is a good balance between all the styles of modern and danceable EM. The more I listen to and the more I like this song. And it's the same thing with "Swipe to the Right" where the voice of Cyndi Lauper seems to me unrecognizable by moments. But why not Bondie! The moods would have fit for her, but in a rhythmic envelope which is wild and full of so many elements that the hearing loses its listening abilities. I looked forward to hear "Electrees" with Hans Zimmer. It's as much poetic and cosmic, I would say even a little more cosmic, than "These Creatures". The voice in less but with superb arrangements which show all the skill of Jarre to toy with the secrets of cosmos. The title takes more swiftness and charges with power the heavy waves of the cosmos. I enjoyed that one too. "Exit" is a strange collaboration with Edward Snowden, the bell-ringer of alarms of the NSA, who seems to explain the how of the why on an evolutionary structure which twists itself between gloomy ambiences and a jerky rhythm before conclude in a hyperactive rave. It let me half in earnest, half in jest! "Switch on Leon" with The Orb presents a rather experimental thing with some good samplings of voices (period Zoolook?) on a rhythm which has difficulty to hatch. That asks more that a listening. "Circus", with Siriusmo, is a title as much dance than melodic. One would say a hit of the Popcorn years. That listens to well, even with a vocoder which irritates a little ears. Lise asked me if it was for kids...See the genre here! "Why This, Why That And Why?" with Yello is a great slow and very dark ballad which develops into a beautiful cosmic slow dance. A very beautiful piece of music! I never liked, and I tried, the very noisy trance style of Jeff Mills. And I dreaded, with good reason "The Architect". It's not for my ears, who earned their pay over this album, but the real connoisseurs say that it's very good. I'm very glad to not be part of their circle... "Walking the Mile" is another title which spreads little by little an evolutionary approach to end into a good Electronica for Zombies marinated in an euphoric drug. That passes better after 2 or 3 listening. The voice of Christophe is rather tiring on the system. But the music takes the top over this inconvenience. I can say the same thing for "Falling Down" whose voice smothered behind a machine which loses its oil does not manage to remove the seduction that we feel by this title which rocks between cosmic rock, with still very good percussions and superb arrangements, and a synth-pop galvanized by an industrial essence. "The Heart o Noise (The Origin)" is a slower and more experimental version of "Part 2". And that still stays some great EM. We have to admit that the technoïd vision of EM of Jean Michel Jarre is more seductive here than the more limpid one of Electronica 1-The Time Machine. Is it because the French musician was more involved at the level of the composition? That could! The fact remains that “Electronica 2 - The Heart Of Noise” goes farther by proposing 4 visions that Jarre has of EM; the cosmic rock, the dance and trance, the experimental vision and the synth-pop of the 80's. I would even add there is a small dose, much better in any case than on Volume 1, of industrial essence. But no matter, I found “Electronica 2 - The Heart Of Noise”, even if clearly more danceable, more thoughtful and more sophisticated than The Time Machine. 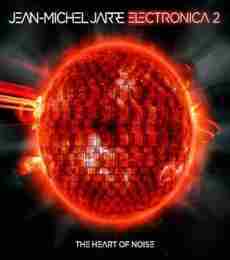 And yes, Jean Michel Jarre is really hide in Jean Michel Jarre. And I really hope that one day, he will get out of it! We all thought that Peter Fabok had thrown the key of the Tangram studios! The rumor circulated and increased as years, 3 in fact, separated Lustbient from the silence of Tangram. And then a day, a message! The Hungarian musician prepares in secret his return with a 32nd album of which the release is planned for the end of the summer of 2016. 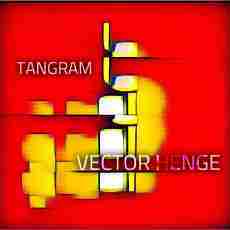 “Vector Henge” arrives finally on the Web in August and dips back us straight out into the very versatile electronic universe of Tangram. With 9 titles of an average time of 5 minutes, the music of “Vector Henge” is without preamble and gets straight to the point with a series of rhythmic approaches which rocks between an Electronica for adults with tired feet and a synth-pop always for adults avid to possess a more audacious sense of hearing. The result is an unequivocal suite to Layers, an album which had moved closer the music of Tangram of the mass with a resolutely more commercial approach. And that begins with "Assemble" and its epidemic harmonies (there is a lot of those here). First of all, a distant wave from cosmos incites arpeggios to sparkle in a luminous ballet. A line of bass crawl in the background, inviting the same arpeggios to tinkle with more swiftness, with more limpidity. The rhythm crawling like a threatening shadow and the arpeggios resounding such as tubes of crystal trapped in an anger of Aeolus, "Assembles" ripens little by little its rhythmic approach which will be translated into a mixture of synth-pop and down-tempo. Hunted in the echoes of the sequences, the rhythm adopts afterward a stroboscopic tendency with a synth which throws beautiful harmonies of which the minimalist loops become fixed between our ears. Not complicated for 2 cents and catchy as one pleases, the music of “Vector Henge” is parading like a pleasant surprise which is good to hear. Not complicated but not made in the ease, as shown by the slightly hopping rhythmic structure of "Gyro". Its mixture of bass and crystal clear sequences skips in a broth of sound effects and pounds in a suite of spasmodic jolts. Other sequences and synth effect occupy a more melodious phase with tints of flutes which lay down harmonies always weaver of earworms. "Convex Space" wears well its title with a more or less ambient structure of rhythm. A good bass line spits pulsations which move slowly among lento oscillating loops. The chant of the synth, as well as this groovy rhythm, does very Robert Schroeder. Arpeggios sparkle here, hanging to this structure rather melodious some bright fineries. "Manifold" does very dance. The bass pulsations make some solid boom-boom while the percussions flutter like a Jarre very shy in an approach which militarizes its beat. A little as a parade which takes airs of rave-up. It's lively and cheerful, but not really my cup of tea. Those who liked the dance approach of Jarre will doubtless like this music style. "Specific Ocean" is a lovely morphic ballad where the arpeggios are ringing on a bed of murmurs from a bass line. It's the most docile title here, even if a soft excitement decorates the background. "Scherlin Bool"? Yes, it's some dark ambient Berlin School with a thick cloud of black winds and where the synth which throws melodious acrobatics. "Tapestry" is more in the New Berlin School kind with a very Software approach. It's like "Specific Ocean" but with more rhythm. "Omega" offers another pattern of ambient rhythm with dark pulsations of which the resonances lay down the basis of this amphibian rhythm. The arpeggios are ringing with more or less of melody in the system. The title develops an increasing approach with a light but intense accentuation towards its finale. "Druids of Eternity" concludes this comeback of Tangram with another beautiful approach of hyper melodious synth-pop, the other one being "Tapestry". Our neurons dance as much as our feet on this structure which is a good mixture between Software and a contemporary Robert Schroeder. Melodious and lively, “Vector Henge” exploits the key dominances of modern EM with 9 titles which are no more and no less some invitations to discover the doors of a universe which seems never in lack of its resources. It's a nice comeback for Peter Fabok. And let's hope that we have not to wait for another 3 years before hearing his new music behind the mask of Tangram. The past demonstrated us all of Peter Fabok's talent. It would be too silly to do without!